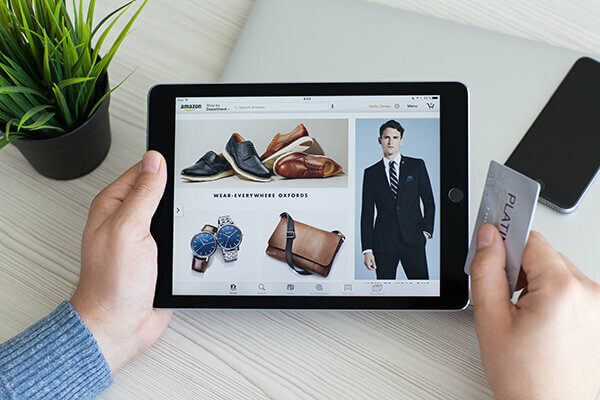 One of the big issues facing people who are doing commerce online is that Amazon has become a huge dominating force in the market. A lot of sellers don’t like Amazon. 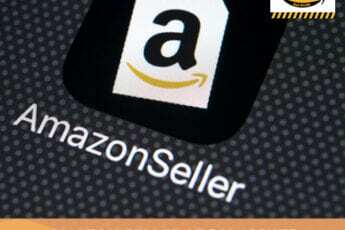 It is difficult to work with but buyers love Amazon, and that’s one of the reasons why sellers aggregate towards Amazon. It’s often one of the first places to look if they want to go buy something. If you want to be part of that market, you need to be part of what Amazon is doing. Amazon has been aggressive and successful at doing the things that buyers want, and that often makes things difficult for sellers. One of the things is it’s made it difficult for sellers to stop infringement when it’s happening. This also happens with Alibaba and eBay or any online aggregate of retailers. 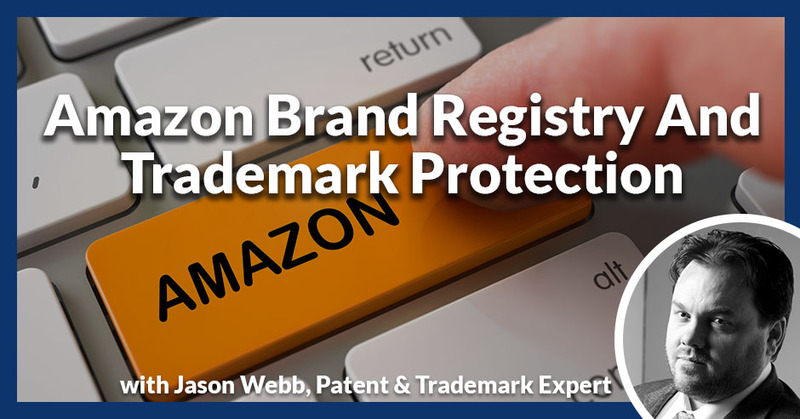 The Amazon Brand Registry program is a way to automate that and make that easier, and here to talk about is patent and trademark expert Jason Webb. 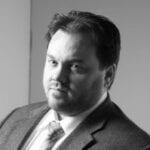 I’m going to talk about the Amazon Brand Registry Program from an intellectual property attorney’s point of view and how that works and what you can do to access it. One of the big issues facing people who are doing any commerce online is that Amazon has become this huge monster dominating force in the market. A lot of sellers don’t like Amazon and it is difficult to work with, but buyers love Amazon and that’s one of the reasons why sellers aggregate towards Amazon is because buyers love it so much. It’s often one of the first places to look if they want to go buy something. If you want to be part of that market, then you definitely need to be part of what Amazon is doing. Amazon has been aggressive and successful at doing the things that buyers want and then often makes things difficult for sellers. One of the things that have happened is it’s made it difficult for sellers to stop infringement when it’s happening. This also happens with Alibaba. It happens with eBay. It happens with any online aggregate of retailers where you end up with lots of issues of infringement and then of course, you’re going to go to a platform to try to solve the problem. Amazon’s brand registry is a way to automate that and make that easier. I don’t like issuing takedown notices to eBay and Amazon and things like that. It’s definitely not one of my favorite things to do as an intellectual property attorney. I’m definitely in favor of them building tools and creating tools that allow retailers to establish control and dominance of their intellectual property in that space. Then do it in a way that the retailer can do it instead of having to have their lawyers do it. I definitely applaud them in doing this. 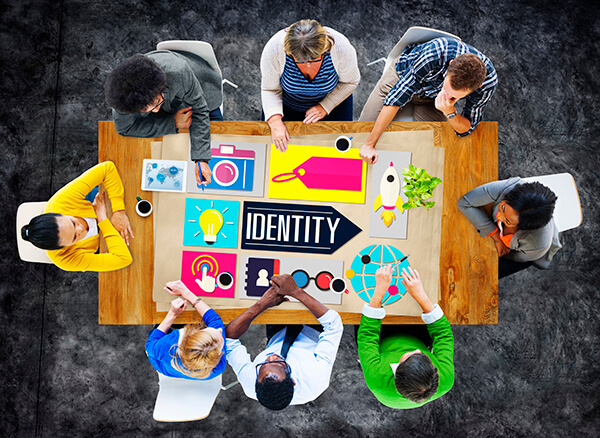 The brand registry is a very limited scope of intellectual property protection. It only applies for where trademark registrations that are in certain set of countries. The United States is one of those countries. If you go to their website that talks about the details of that and how to do it and there’s a short list of countries where if you have a trademark registration in that country, then you can file to get your brand on the registry. Your brand is registered, it has to be either a wordmark or a stylized design of a wordmark. What that means is for example Nike. If Nike has a trademark registration for the wordmark shoes, they could do that. If they have Nike with the swoosh above it registered they could do that. If they just want to protect the swoosh they can’t because it’s not words, letters or numbers, it’s just a design. If the brand that you have registered is just a design, you’re not going to be able to register that brand registry. It primarily needs to be something that is words, letters, numbers and things like that. Another thing that sometimes will trick people or get people tripped up is my understanding that Amazon does not accept brands that are on the supplemental register. A supplemental register is a place to go when your brand is too descriptive and they’re not willing to put it on the primary register, the principal register. If your trademark is registered on the supplemental register, you’re not going to be able to access the brand registry. You have to have a registration; trademark application is not sufficient. One of the issues that we have is that they want to be registered through Amazon Brand Registry because they want the tools they get from that. The problem is it takes months for the trademark office to even assign your application to an examiner, plus this whole step process to get it registered. From the time you start, it may be seven, eight, nine months, twelve months or even longer if you have to fight with the trademark office to get to brand with this registry. It may take nine months to a year to get the registration. Once you have the registration and that registration is published and you have a registration number, then you can apply for the brand registry to Amazon and you go online and you apply. What they’ll do is as you’re going through the application process, they will send your attorney an email with a verification code. The verification code and it’s the attorney that’s listed on the application for the trademark. That verification code is what you need to continue with the process. Over the past year or so, I’ve been getting a lot of those. I’ll get an email from Amazon and it’s for one of my clients. Then I see which client is for and then I can go ahead and forward into them so they can go ahead with that process. It’s great because it allows my clients to go ahead and have some authority and some control over what happens on Amazon with respect to their brand. It hasn’t been perfect and Amazon’s evolving. There are some other issues that have been in the courts making it difficult to go after infringers. I’m hopeful that this brand registry program will be successful and they will expand and grow it. It would be nice if they could expand it to more than just the wordmarks, more than that or not. Also it’s great if they can keep adding countries because this is definitely a world marketplace and it would be great to be able to shut down infringers in more than just the list that they have. As far as the trademark process goes, what we can expect once the application is filed, it takes them about three months to assign it to an examiner. An examiner is the one who looks through the application, does the research, checks to see that you’re not stepping on someone else’s toes and decides whether they’re going to allow it or not. Amazon Brand Registry: Brand registry is a very limited scope of intellectual property protection. If they’re going to allow it, it moves to the Allowance Process. If they’re not going to allow it, they’ll send an Office Action where they explain why they’re not allowing it and what the problems are. Sometimes they have suggestions for how to fix it. Sometimes their suggestions are good, sometimes they’re not. You want to make sure that you respond to that in time. Be sure to keep on top of that. The allowance process, if you have already proven that you’re using the mark in commerce, you’ve got goods and services that the market is being used with, then you can go straight to publication. They publish the application and give everybody in the world a month to decide whether or not they want to approve your mark before it’s registered. If nobody opposes it or requests an extension of time to oppose, then it moves to the registration process and usually about a month after that is when you get the registration certificate and the registration number. If you have not proven that you’re using it in commerce, now is the time to do it. You have six months from when it’s allowed to prove that you’re using it in commerce. To do that, you’ve got to submit evidence to them that you’re properly using your brand in association with the claimed goods and services. If you can’t do that or aren’t ready to do that, there are extensions that can be filed, there are six-month extensions and you can file up to five of those in sequence. It can take three years to finally prove that you’re using it in commerce. That allows for the realities of entrepreneurialism, which is things sometimes take longer than planned and they don’t go as planned. Sometimes you have to adjust, do some changes. Sometimes product development runs into the sticky issues and it takes time to address those. Once you get the registration, that’s when we can access the Amazon Brand Registry, and then have those additional powers and capabilities. I’ve never seen the user interface for that. I’ve never been involved in that. My understanding is it allows you some easy ways to look for infringers. It also allows you some easy ways to put those infringers on notice that there’s a problem and get those listings taken down. Amazon says that they act on most of them within about eight hours of you posting the issue. I’ve heard of things not going well or things not going as planned with that, so expect what you get. One of the other issues that you need to be careful of is using where it makes it easy to submit something saying that a listing is fraudulent or counterfeit. It also makes it easy for you to accidentally submit that your own listings are fraudulent or counterfeit. I’ve seen that where we’ve had to fix that before and that has been super hard to fix. Be careful when you’re submitting those that you don’t accidentally say that your own listing is bad listing or a counterfeit listing because once it gets delisted, you could have a fantastic successful listing that you have to rebuild all over again from scratch. If they’re not willing to relist it again. That’s it in a nutshell. Plan on spending anywhere from $2,500 to $3,500 to go through the trademark process, start to finish including the research, preparing and filing the application. Babysitting it through the process, proving that you’re using it in commerce, government fees and things like that. There are cheaper ways to do it, but you get what you paid for. One of the difficulties with the Trademark Law is it doesn’t have roots that are the same as Copyright Law and Patent Law. Copyright Law and Patent Law were designed to reward people who brought good things to our society. If someone who writes a wonderful book, you want to protect that and make sure they get rewarded. If someone’s a great artist, you want to make sure that the art they produced, they get paid for it. It’s not stolen from them. If someone invents something that makes their lives better, we want to reward that inventor. We want more of those inventions. Whereas for Trademark Law, it’s not designed to protect the merchants, the sellers. It’s designed to protect the consumer public. A lot of people, when they file their own trademark applications or when they go through a cheap service, while there are cheap online services, they make mistakes in the applications that can ruin the application. There are only a few things that you can change in your application. You can only change just a little bit. You’re limited on how much you can change that. Mistakes that you make early in the process of filing your application often can’t be fixed later. You can waste a lot of time. If you try to go cheap or try to file it yourself, you can waste a lot of time that otherwise, you could have had great strong protection and useful tools with Amazon Brand Registry. Be careful if you’ve got a successful product or you’ve got a big launch with lots of marketing dollars going into something and it really matters. You definitely don’t want to take the risk of filing it yourself. Amazon Brand Registry: One of the difficulties with the Trademark Law is it doesn’t have roots that are the same as Copyright Law and Patent Law. I saw a study where they looked at five years of data at the trademark office. They took five whole years of data from the trademark office and not a sampling of it, but all the data. What they found was that people who filed their own applications, who had filed less than 30 applications previously only had about a 30% chance of getting a registration at all. It didn’t look the quality of those registrations and I know some of them were severely lacking quality, but they only had a 30% chance of getting a registration. Having an experience of going through the process and knowing what to avoid and how to not make bad the mistakes makes a big difference in being able to get that registration. Having that registration makes a big difference. You’ll be able to enforce your rights. I hope that’s helpful. I didn’t understand that history that I think that was one of the marching things for me is that the Trademark Laws were not designed to protect the registrant or whoever. Would you call that the owner of the trademark? The merchants. The person who’s selling the merchants or the manufacturer. It goes back to feudal times. These Trademark Laws are Western creation. It was basically you have your noblemen, your king, and your merchants who are the craftsmen. The guy who is making saddles and he make great saddles. The nobleman likes to buy his saddles because they’re of high quality. Then someone else wants to sell their saddles. They’re having a hard time so they start putting the other guy’s mark on their saddles and passing off their saddles as if they’re the really good ones. Then nobleman buys the crappy saddle, thinking it’s a good saddle, it breaks. His kid falls off the horse and he is upset. He then goes to who he thinks is the manufacturer, he shows them the saddle and says, “I’m upset. You better make this right.” That merchant says, “This is not my saddle. I don’t use those materials. I don’t stitch like that.” It has all this proof that it wasn’t him. That dispute ends up going to the king. The king’s job is to deal with these disputes. The king likes the nobleman more than the merchants and they have a closer relationship. It’s still a violation of some sort if that company knocks off your brand, your selling goods under the trademark that you registered without permission. Where it starts to get confusing is for example, in Copyright Law or Patent Law, you have this concept of substantial similarity. Is it close enough to what is protected that they’ve infringed on the rights of the owner of what to protect? You look at how close it is. With Trademark Law, it’s not substantial similarity or a version of that, it’s likelihood of confusion. It’s not how close it is, is it close enough that the consuming public would get confused? It can be identical, but if nobody would get confused, then the law doesn’t care. It could be pretty different, but if it would still confuse people, then the law says it’s not okay. We’re talking about protecting the owner of the property. That’s not the test. The test is what do we need to do to protect the people who are going to buy? With Amazon, they’ve created a brand registry to try to do this. Is that their mechanism? Amazon Brand Registry: Amazon has done a good job of shielding themselves from liability. They have a responsibility to deal with it because all these people who may be violating trademarks are all selling on their platform and consumers, the public, as you say is being confused. They have to play a role. The way that they’ve set up with their business, they’ve done a good job of shielding themselves from liability. It’s too good of a job actually. There’s not a whole lot of accountability with them, but it’s still a tremendous annoyance for them to get all of these demands and get all these requests. I think they just wanted to funnel that into something. That’s very valuable information that you’re sharing with everyone. Thank you so much for that.